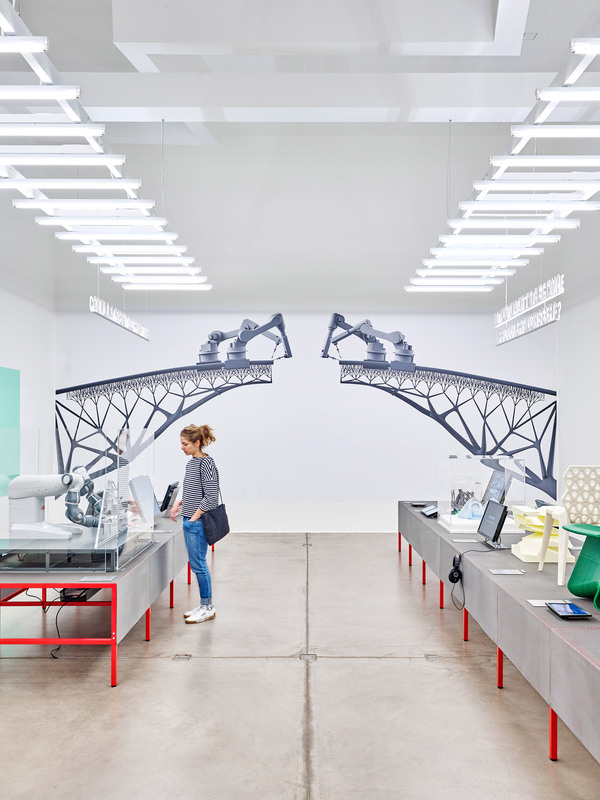 Hello, Robot exposition in Vitra Design Museum in Weil, until May 14th. Above: Hylozoic Grove by Philip Beesley. 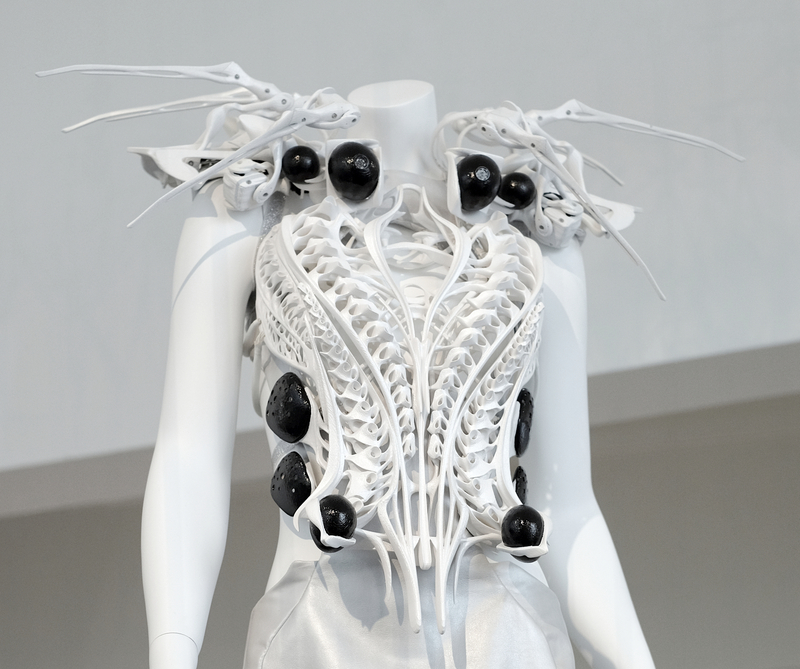 Anouk Wipprecht’s Spider Dress 2.0 is fully 3D printed and “uses proximity sensors as well as a respiration sensor to both define and protect the personal space of the wearer.” It’s motionless in the exposition, though. Some elements of Aggregate Architecture by ICD Stuttgart‘s Karola Dierichs and Achim Menges. They are produced from recycled plastic, without needing any binders – which means the elements are reusable. I’d have liked to be able to touch and rearrange some of them. The original R2-D2 is displayed in a glass case. It does not look big enough to have an actor inside! Joris Laarman’s MX3D bridge is only represented by a print on one of the walls; in my opinion it would have lent itself to a broader coverage. The soundtrack of Universal Everything’s Walking City kept me from watching the whole video. Photo of one of the exposition rooms by Mark Niedermann and more impressions on Dezeen.